Click cover to see all 16 pages of the program. An interesting and comprehensive document about Seraj today. Proceeds from this year's Benefit exceeded $50,000, an all time high. We made a real advance toward the $100,000 goal we have set for the Cotton Fite Memorial Fund. 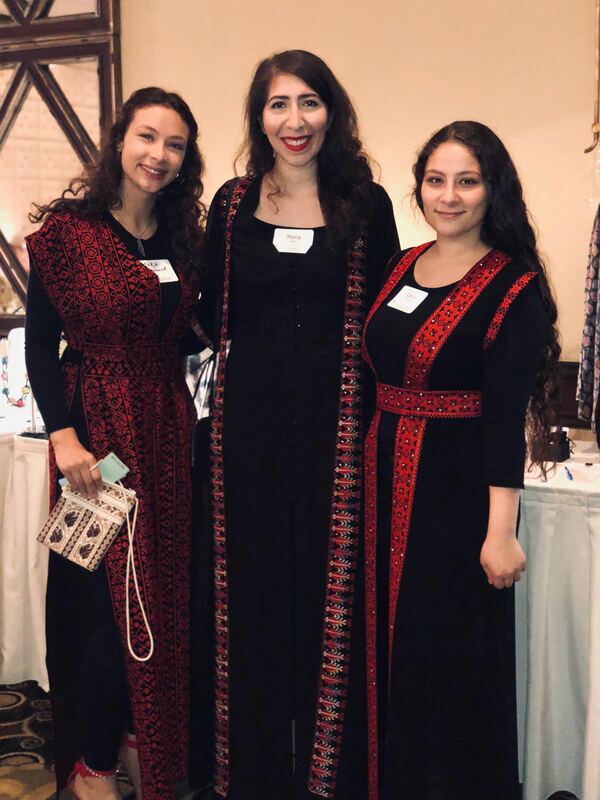 The Fite Fund will be used to establish a Palestinian Storytelling Center, which will chronicle and preserve the cultural heritage of all Palestinians. Click to learn more. Dr. Estephan Salameh and Mr. Yazan Megbil passionately told stories about the situation in Palestine today. 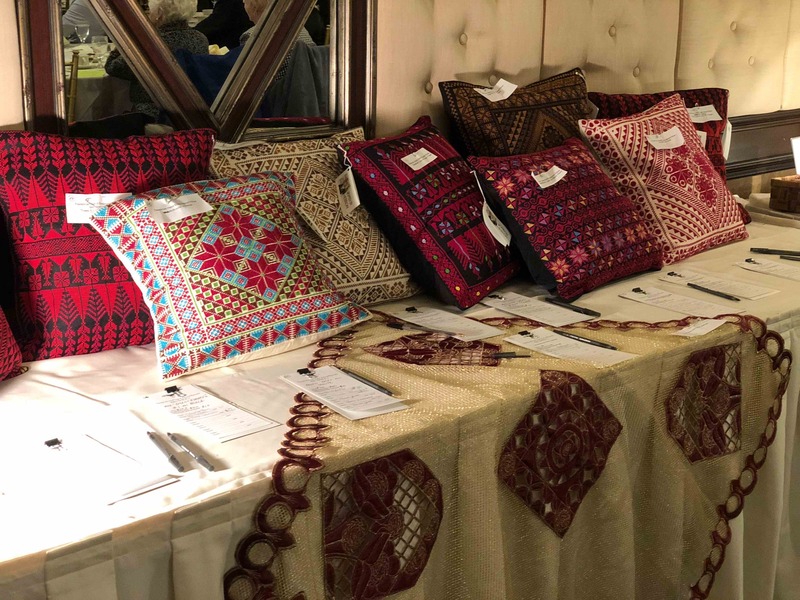 The Silent Auction offered 110 items, valued at approximately $14,000. 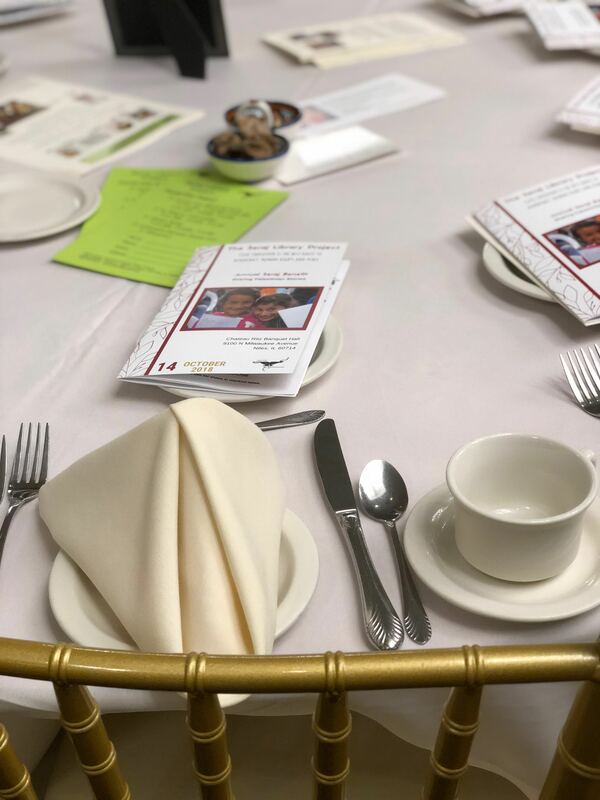 The Raffle raised $1,600 and three lucky people won: 1) 8 Maine lobsters, 2) dinner for 6 at Al Bawadi restaurant and 3) a $400 cash pot. We experimented with a "live auction." It was wildly successful. 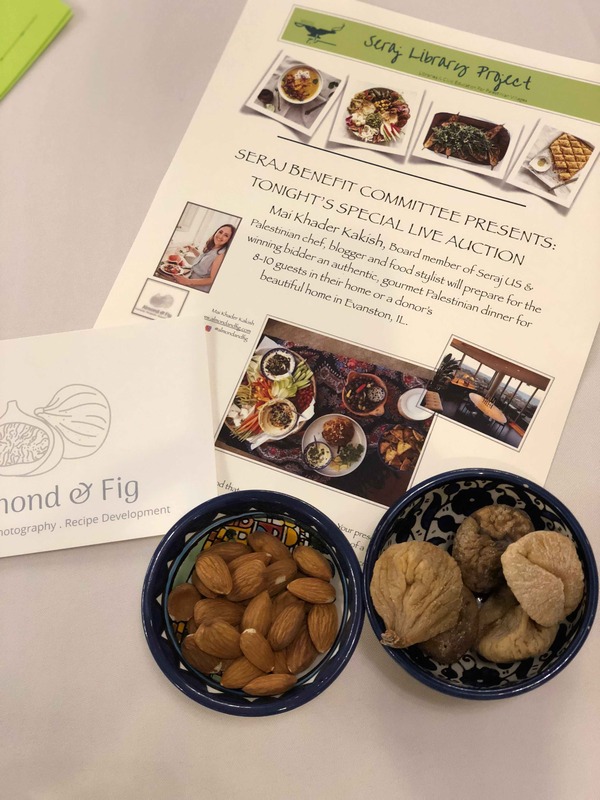 Attendees had an opportunity to bid on an authentic Palestinian dinner, as well as funding for the Cotton Fite Memorial & BJ Wagner Funds and replacement library books. In all, the silent and live auctions together raised more than $35,000. 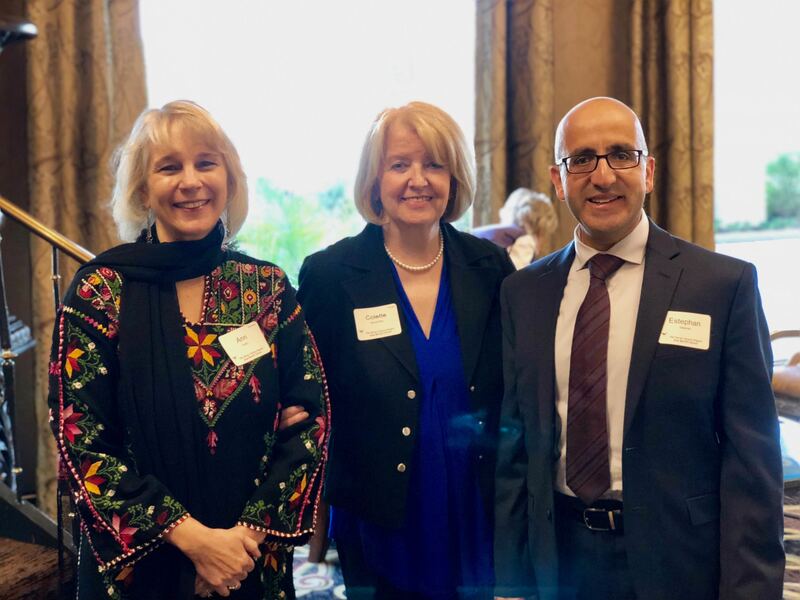 We enjoyed three marvelous videos showing Seraj's work and popular library programs. Click here to see all three films, and more. 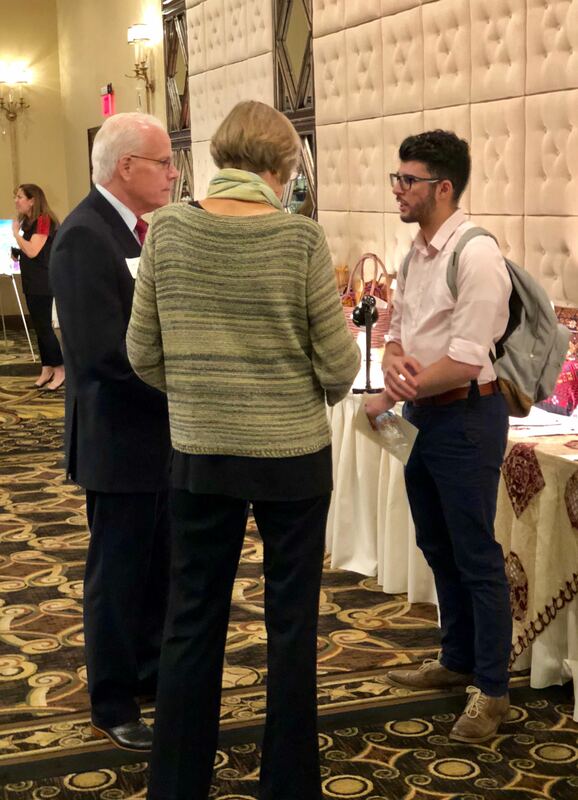 We heard engaging Palestinian stories from two leaders who reported "from the ground." 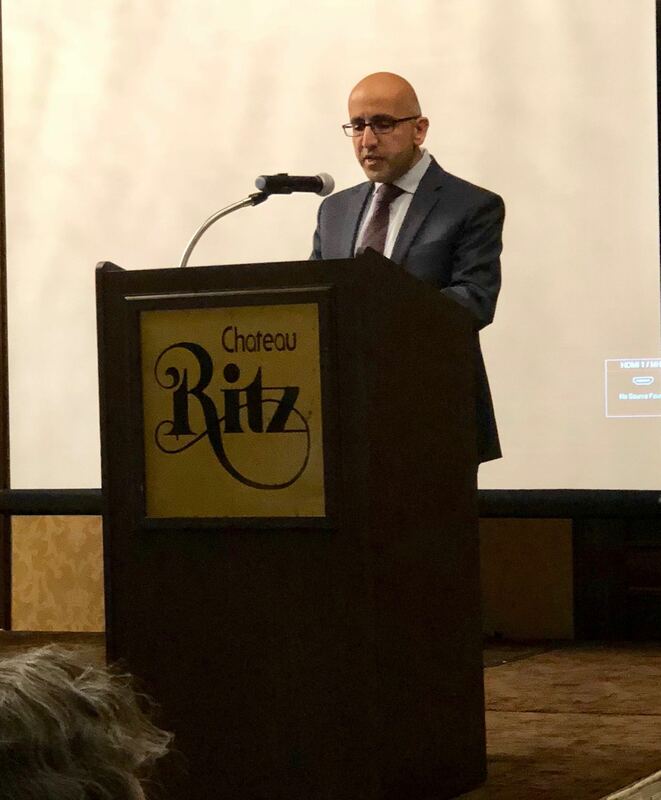 Read Estephan's entire speech about the current state and future of Seraj here. opportunity to tell, write and record their stories. 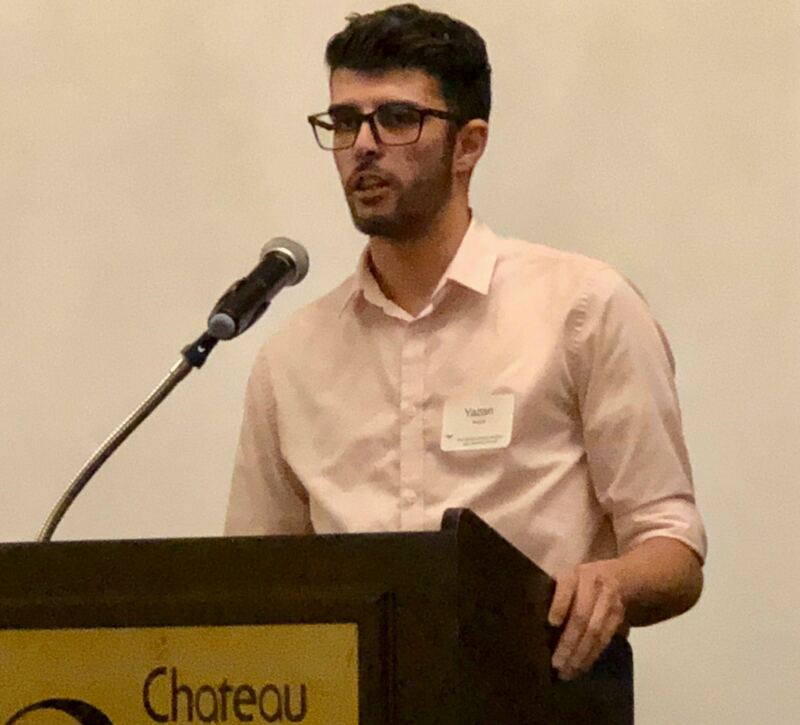 See a clip (2 minutes) of Yazan's speech about his growing up in Palestine here. 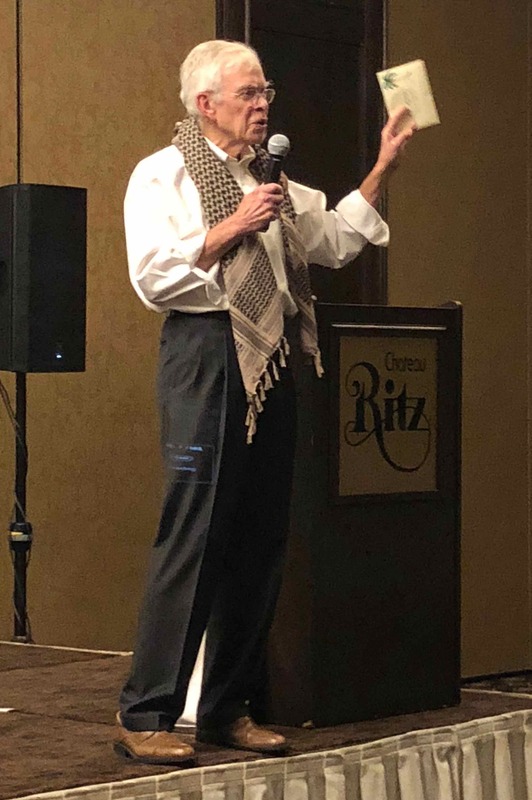 Galen Burghardt, chair of the Seraj Board's Development Committee, ended the evening with a Live Auction. The idea is simple. 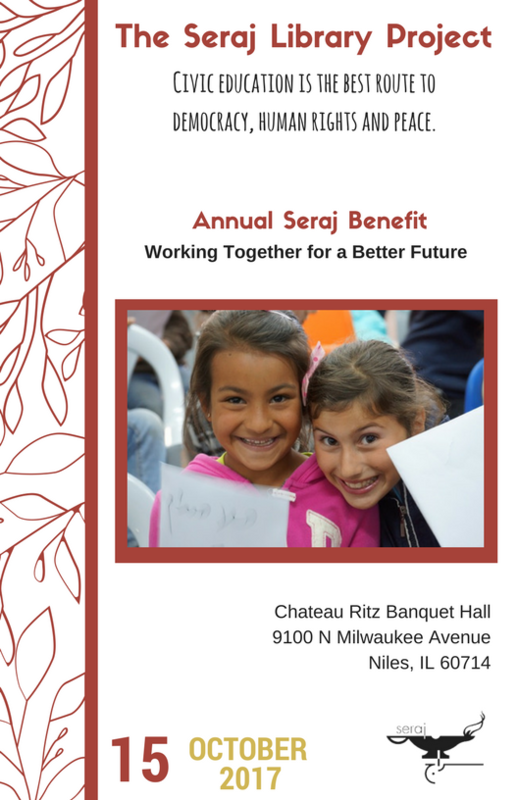 Seraj is at a point where we see a whole array of exciting possibilities for effective and vital programs. We see the NEED. Can we step up and FUND these opportunities? Palestinian Storytelling Center (still in design). Cotton Fite Memorial Fund, which will support the Center. BJ Wagner Fellows Program, which provides scholarships for our college age volunteers. Library books, for our 2 new libraries and as replacements for established libraries. And, the authentic Palestinian Dinner for a Chicago gathering. Finally, Galen challenged all in attendance to consider a monthly donation to Seraj. Our website makes it easy. Just designate the amount and your credit card will be charged each month. And budgeting and planning will be enhanced for Seraj. Make a monthly/or quarterly commitment here. More photos from the evening. Let us know your questions or concerns, or how we can help you. Contact Us. "Access to a community library for every Palestinian child and family."